This paper summarizes and overviews the scientific, technical and legal background of the rectifying project of the Habsburg Military Survey sheets at the Hungarian firm Arcanum. Rectified versions of the whole First, Second and Third Surveys are completed, however, till this moment, only the Hungarian part of the First and Second Surveys (in 1:28800 scale) were published together with the full Third Survey (in 1:75000 scale) because of legal issues. The rectification errors are quite high in case of the First Survey; this accuracy fits only for settlement finding applications. Accuracy of the Second Survey is surprisingly good in most parts of the Empire, the maximum error is cca. 200 meters, the same value that characterizes the Third Survey, too. 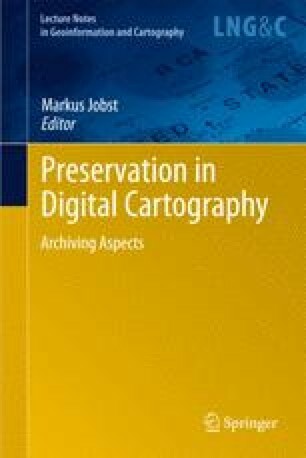 This new, electronic cartographic version of the old map systems offers excellent possibilities to follow the changes of the natural and built environment of Central Europe in the last two and a half centuries. The raw cartographic material of the project was provided the Österreichsche Staatsarchiv, Kriegsarchiv, Vienna, Austria, for the Austrian part of the Empire. The sheets of the former Hungarian parts were offered by the Map Archive of the Institute and Museum of Military History, Ministry of Defense, Budapest, Hungary. Dr. Cristoph Tepperberg, Dr. Robert Rill and Dr. Annamária Jankó are especially thanked for their help. The authors are grateful to Dr. Róbert Hermann and Dr. Ferenc Lenkefi, Hungarian military delegations to the Kriegsarchiv, Vienna, for the flawless cooperation.